in "Doctor Who: The Horror of Fang Rock." 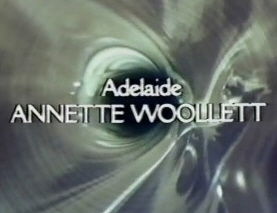 Welcome to the only website devoted to the lovely English actress Annette Woollett, who played Adelaide in the Doctor Who episode "The Horror of Fang Rock". 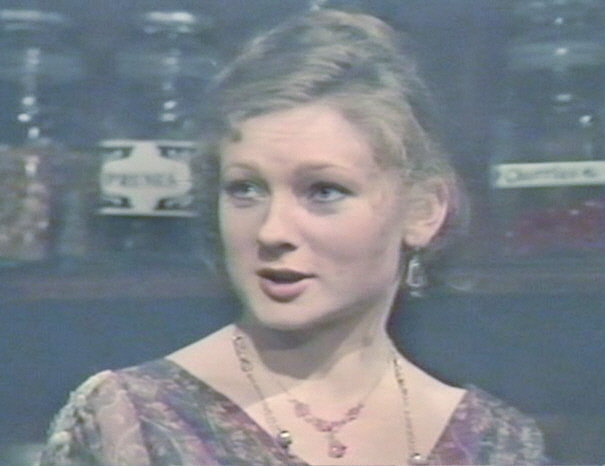 I shall be adding to this website over the period of the next few days, including my extensive collection of vidcaps of Annette as Adelaide and probably a great deal of textual defense for what I consider an unjustly maligned actress and character. Apologies to all for not having updated the page in so long; I have, for the past year, been living computerless and sadly, have had little opportunity to manage the page. Also, the e-mail address was shut down for a certain amount of time due to inactivity, so if anyone wrote in and was not responded to... SORRY! The e-mail is up and running again, and as I recently received a very good one (contents of which are located in the "About Annette" section,) I shall go out of my way to check it in future. I'm gratified to see that i do receive the occasional visitor, and would love to hear from you. Tax day here in the U.S., but adding to this site always poses a more pleasant prospect... I've added another E-mail to the "About Annette" section, and have also linked this site to the Wikipedia entry for "Horror of Fang Rock." 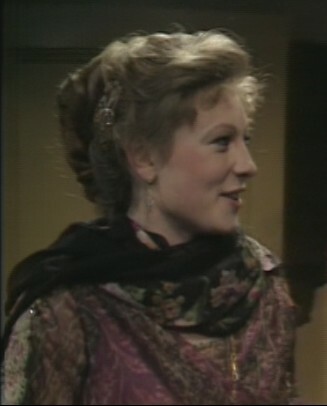 I have at last been able to find Annette's appearance as Celia Grey in the "Upstairs, Downstairs" episode entitled, "A Change of Scene". I was pleased to find it was quite a nice part for her, happily giving her lots of opportunities to display her lovely smile as the very sweet (if not terribly bright) Celia. I've added screencaps of her in this performance in the new gallery, listed as "Gallery 2". The picture quality is unexceptional, but I think they still convey Annette's charm in this very pleasant performance.